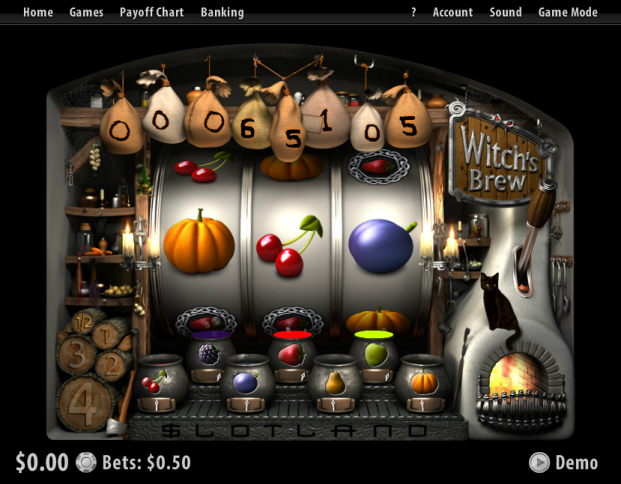 Overview: Witch's Brew is a three wheel, single payline slot machine. 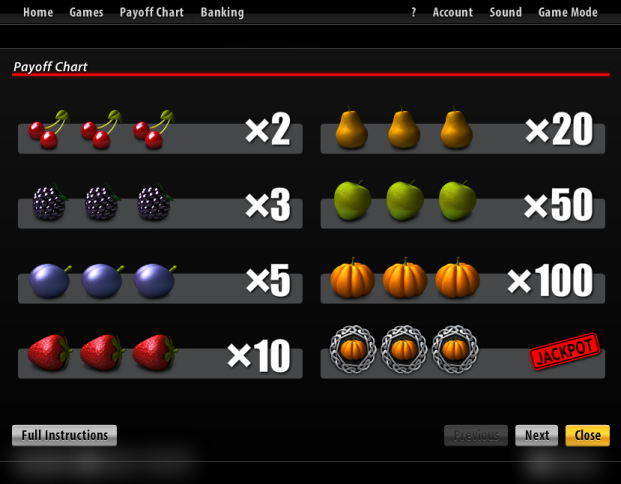 There are seven cauldrons below the slot machine, one for each fruit. On a non winning spin, all the fruits on the payline will drop from the reels into their cauldrons. When a cauldron is full to the brim, it starts to boil and the respective symbol becomes WILD. More than one cauldron can boil at the same time giving you more WILD symbols and more chances to brew up a big win! Similar Slots: If you like Witch's Brew, you might like these other slot machines from Slotland: Fruit Mania, Golden 8, Greatest Hits, Tikal Treasure, Turbo GT.